Kareem Hunt is getting a chance at redemption with his hometown team. But, folks aren't here for it. 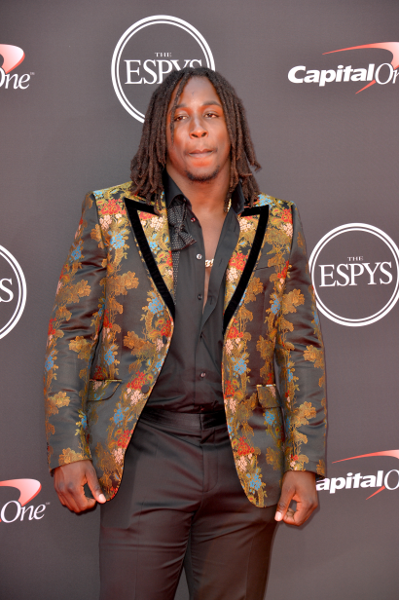 Today, the Cleveland Browns announced they signed former Kansas City Chiefs running back Kareem Hunt to a one-year deal that could be worth more than $1 million, not factoring in his potential suspension, a source dished to the NFL.com. You'll recall, the 23-year-old NFL player was cut from the Chiefs organization after a video of him shoving and kicking a woman in the hallway of a Cleveland hotel surfaced. It was reported the woman called him a "n*gger" and he lost it. The incident happened in Febraury 2018, but the video didn't make its way online until November 2018. He admitted to lying to the Chiefs about the incident when they initially approached him about the matter in his first televised interview with ESPN's Lisa Salters. In January 2018, Kareem (and former Chiefs running back George Atkinson) was accused of beating down a man at the Mosaic nightclub in Ohio. The aftermath of the fight was caught on video, which can be seen HERE. The alleged victim stopped cooperating with police and no charges were filed in that case. Then, the incident with the woman in the hotel hallway went down in February 2018. Following that incident, the NFL revealed they were also investigating him for a third incident where he allegedly punched a man in the face at an Ohio resort back in June 2018 (there's no video from that alleged incident). So yeah, this explains why people are up in arms over the NFL giving him another chance. Browns general manager John Dorsey released a statement, revealing their were two main factors that were considered when they decided to sign Hunt. Well kids, he might be an abuser, but he’s really good at football and that’s what really matters. How many more women does Hunt need to beat up in order for him to not get anymore chances? 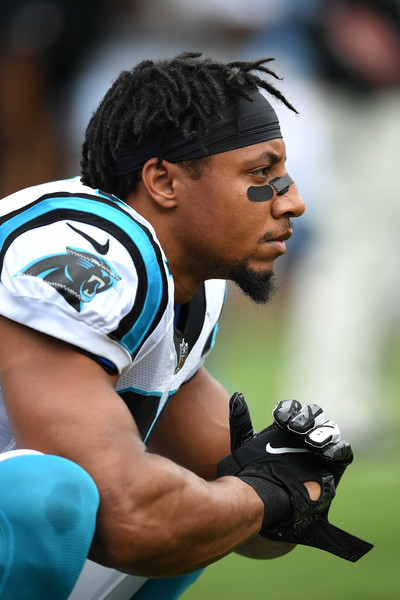 Knee to the face of a woman = OK. Knee to the ground during a song = VERY NOT OK.
Eric Reid - who filed a collusion lawsuit against the NFL in May 2018 - just signed a three-year contract worth $22 million to return to the Carolina Panthers. The safety believes the move is additional proof that NFL owners conspired to keep him out of the league last season. 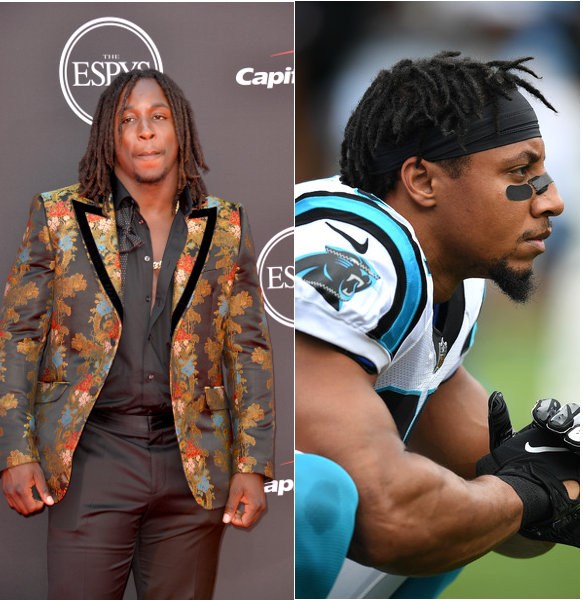 Reid said he believes he got "fair market value" after only making $1.69 million last season from the Panthers. As we all know former 49ers quarterback Colin Kaepernick - who has also signed a collision lawsuit against the league - is STILL out of a job at the NFL and Reid believes that won't change anytime soon. No reaction from his homie Colin just yet.